As the Daily Post asked, I glanced at my bookshelf this morning to choose what the first book I’d love to sit and reread when I had the time. 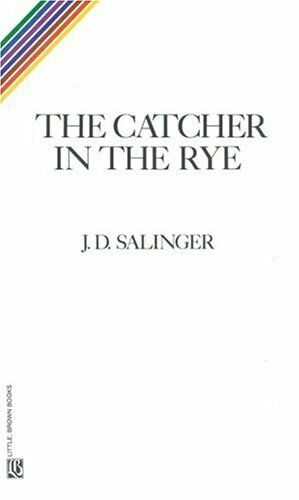 I didn’t need to physically check the shelf, because I knew instantaneously who I’d love to spend an afternoon with: Holden Caulfield. I first read The Catcher in the Rye the summer before high school. I had been listening to an old Green Day tape, Kerplunk! On the album there was a song called, “Who Wrote Holden Caulfield?” I didn’t know who that was, so I asked my mom. She didn’t verbally respond; she left the room, leaving me with a sense of dread. Did I do something wrong? Did I ask something inappropriate? Before I could worry too much, she returned, a paperback in hand. It was a dull cover to say the least. Nondescript white, a rainbow in the upper left corner. From the opening line, I was hooked. Angsty, snarky, yet idealistic. I spent the day on the back porch, the summer sun shining, a cool breeze wafting through the patio window, drinking tart lemonade and meeting Holden. I’ve reread Cather several times, but I can’t remember the last time I did so. I don’t think it has been in the last ten years. I wanted to revisit that book since the death of J.D. Salinger (may he rest in peace–I hope there are no phonies in heaven). I’d love to know if I still love Holden the way I did as a teenager. Maybe it is time that I make the time. This book saved my life, numerous times, during my teen years. Just to know that someone – anyone else felt the same as I did. Beautiful choice! Just read it for the very first time and loved it. Also read your about me and will be following you as a result. those need a connect-in set up).